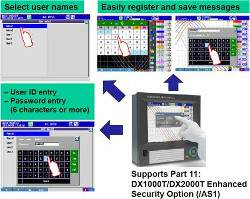 Touch screen operator interface provides faster and more intuitive access to common functions. Combined touch operation and key controls - your choice! A very serious problem with large suspension bridges is corrosion inside the main cables. One method of corrosion protection is to dehumidify the inside of the cable by blowing dry air through it. 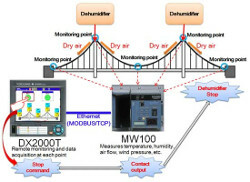 In this example, we show how to monitor such air-based dehumidification systems. 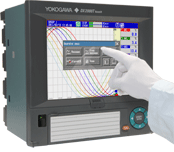 The DXAdvanced R4 touch screen model makes traditional key operations more intuitive and easy, raising efficiency for on-site operators.